It’s being studied about dynamic stability and performance functional evaluation of an agricultural facilities structure (earth dam, embankment, open channel, pipeline, etc.) for the necessity of food production. In particular, the destructive behavior of foundation ground becomes complicated by various foreign factors of a giant earthquake, a heavy rain and a heavy snow, etc. Using a model experiment and numerical analysis (Finite Element Method), I have a reflection to a practical design for my purpose. If there is a person who would like to touch “soil” even a little, please knock on a door of the laboratory. 1) H. Mori (2013) : Unconfined Compression Test and Elasto-Plastic Finite Element Analysis for Composite Ground, IDRE Journal, No.285, pp.25-30. 2) H. Mori (2013) : Characteristic of Ground Motions on Reclaimed Landfill in Port of Tokyo by the 2011 off the Pacific Coast of Tohoku Earthquake, IDRE Journal, No.288, pp.93-98. 3) H. Mori (2013) : Investigation of Liquefaction on Shinkiba Reclaimed Landfill in Tokyo Port by the 2011 off the Pacific Coast of Tohoku Earthquake, Water, Land and Environ. Eng., No.81(7), pp.531-534. 4) H. Mori (2016) : Stability Evaluation of Small Erath Dam for Irrigation in Aomori Prefecture, Water, Land and Environ. Eng., No.84(2), pp.111-114. 5) H. Mori, Y. Arai, M. Harashima (2016) : Experimental Stud of Seepage Failure Phenomenon with Change of Subsurface Ground Conditions in Centrifuge Model Test, IDRE Journal, No.303(84-3), pp.Ⅰ_403-Ⅰ_408. 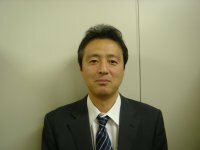 6) H. Mori (2017) : Experimental Study of Safety Factor Estimation on Embankment Dike by Δu-method, IDRE Journal, No.304(85-1), pp.Ⅳ_1-Ⅳ_2. The seminar contents performed once a week are the document reading of soil mechanics, the site investigation of foundation ground and the discussion about various problems of civil engineering.